Just in time for peak holiday consumption comes MAKE SMTHNG Week , a campaign created by Greenpeace to encourage people to create rather than passively consume. One of the most important things you can make is your dinner. And you can do it without waste. It requires a bit of planning but not that much. 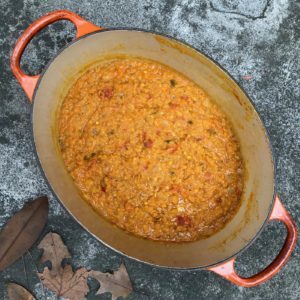 I’ll use a simple recipe like pumpkin dal , which I posted recently on my blog, The Zero-Waste Chef. But how can you bring those ingredients home without producing waste? Bring your own cloth shopping bags. Opt for natural fibers when you choose bags. Synthetic materials shed tiny plastic fibers in the washing machine. This plastic ends up in our rivers, lakes and oceans. You can buy cloth shopping bags pretty much everywhere today. Bring your own cloth produce bags. You won’t want to stuff your reusable shopping bags with plastic produce and bulk bags. I sew very simple bags. They last for years. If you don’t want to make your own bags, you can often find them at health food stores, food co-ops and online. Again, opt for natural fibers. Bring your own glass jars and metal containers. Get the weight on these before you fill them up at the bulk bins. At some stores, customer service will weigh them for you and mark the tare (i.e., weight) on them. Other stores set out scales and you weigh the jars yourself. The cashier will deduct the weight of the jar from the total weight of your food when checking you out so you pay for the food only. Use these also for the deli, meat, cheese and ready-cooked food at grocery stores. Make a shopping list and stick to it. With a shopping list in hand, you will not only avoid all those plastic-wrapped impulse buys at the front of the checkout, you’ll also know just how many bags, jars and containers you’ll need to take with you shopping. A little bit of planning will help you eliminate a great deal of your waste. Shop more frequently for less food. If you can do this, you’ll waste less food because you’ll have less perishable food on hand to go bad before you can eat it. Fill up at the bulk bins. 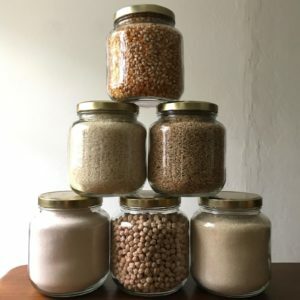 Search for bulk stores worldwide at zerowastehome.com/app. Users can also submit stores not yet listed on this web-based app. Fill your reusable cloth bags, glass jars and other containers with staples like beans, rice, flour, oats, nuts, seeds, dried fruit and so on. Some bulk stores have an extensive selection that includes cleaning and personal care products and pet food. Hit the farmers market. When you go plastic-free and zero-waste, you stop eating processed food—it’s almost always packaged in shiny plastic wrapping. At farmers markets however, you’ll find fresh, seasonal, local, organic produce that you can usually buy unpackaged. Find your local farmer’s market in Canada through Farms.com. Choose fresh, seasonal fruit and vegetables. The best food for you—seasonal vegetables and fruit—is also best for the environment and economy when you buy it locally. It travels fewer miles. You can find much of it unpackaged. More of your money stays in your local community. Buy milk in returnable glass bottles. I can buy milk from a few dairies that sell their milk in glass. Depending on where you live, your local dairy may deliver milk in glass bottles that it later picks up—just like the old days. Opt for foods lower on the food chain. Where I live, cheese almost always comes wrapped in plastic. Meat is often either wrapped in plastic or portioned out on foam trays wrapped in plastic. When you eat lower on the food chain you not only waste fewer packaging materials (beans are often easy to find in bulk) but you reduce the amount of resources that go into producing food higher on the food chain. Meat requires much more water to produce than vegetables, for example. Bonus step! 11. Don’t go insane. Once you decide to cut the waste, you will see plastic everywhere. That’s because it is everywhere. You may start to feel disheartened and hopeless and wonder what’s the point. Birds eat the stuff and die, turtles get entangled in it and die, seals become trapped in old plastic fishing nets and die, fish (which we eat) are full of it and die (when we eat them). WE’RE ALL GONNA DIE! For me, taking action makes me feel better about this incomprehensibly huge problem. And just imagine if we all worked together on the plastic pollution problem, what a difference that would make. That’s what happens during Make Something Week—we consume less. And don’t beat yourself up if you fall short and bring home contraband. I see lots of confessions on social media from zero-wasters feeling terribly guilty when they slip up (and have posted them myself). You can only do your best. Just keep trying. Changing your lifestyle is a challenge. However, cutting your waste is easier than most people realize. 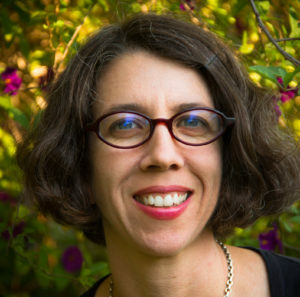 Anne-Marie Bonneau is the author of the Blog „The Zero Waste Chef“. Concerned with the planet’s plastic pollution problem, she went plastic-free in 2011. Zero-waste was the next logical step for her. 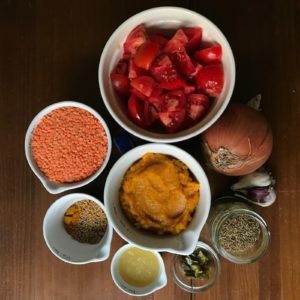 To cut down on plastic waste there, she began shopping more at the farmer’s market, filling up on staples in the bulk sections of grocery stores and making more food from scratch. She cutted out all packaged food, which also meant cutting out all processed food. (Like Michael Pollan says “If it’s a plant, eat it. If it was made in a plant, don’t.”) She feels much healthier for it. You can also find her on Facebook, Instagram and Twitter.